Justice Department Inspector General releases highly critical report of former FBI Director but says he was not improperly influenced. Justice Department Inspector General Michael Horowitz on Thursday released a highly critical report of former FBI Director James Comey in which he excoriated him for poor judgment during the 2016 election. At the same time, the report found no evidence to show that Comey’s key decisions in the investigation into former Secretary of State Hillary Clinton's emails were improperly influenced by political bias, according to The Hill. The report nonetheless raised questions about the role of FBI counterintelligence agent Peter Strzok, whose texts with FBI lawyer Lisa Page suggested he "might be willing" to take official action to impact then-presidential candidate Donald Trump's electoral prospects, the inspector general found. That text, the report said, was "indicative of a biased state of mind" and suggested that Strzok may have intentionally slow-rolled the review of emails connected to the Clinton investigation discovered after the probe was closed, which were on a laptop belonging to former New York congressman Anthony Weiner. Comey sent a letter to Congress at the end of October 2016 announcing that he had reopened the investigation into Clinton’s emails. The FBI subsequently said it would not change its initial determination in the Clinton email probe, which was that Clinton should not be indicted. Clinton, however, claims that Comey’s actions cost her the presidency. Strzok told investigators that at the time he was prioritizing the investigation into then-candidate Donald Trump's campaign's ties to Russia. "Under these circumstances, we did not have confidence that Strzok's decision to prioritize the Russia investigation over following up on Midyear-related investigative lead discovered on the Weiner laptop was free from bias," the inspector general said, according to The Hill. Horowitz's team found no evidence that anyone else on the Midyear team "deliberately placed [the Weiner laptop] on the back burner" — but he nevertheless faulted the delay, arguing that all explanations he was given for not acting sooner were "unpersuasive." Comey eventually ordered a review of the emails and informed Congress of their discovery, lighting a media firestorm just days before the election. Investigators did not find any evidence that political bias or improper influence impacted any decisions made in the Clinton case prior to Comey's announcement that he was closing the case, including the decision not to recommend charges against Clinton. The report was deeply critical of Comey's conduct in the investigation, characterizing his decision not to tell Department of Justice leadership about his plan to make a separate statement exonerating Clinton in July of 2016 as "extraordinary and insubordinate." 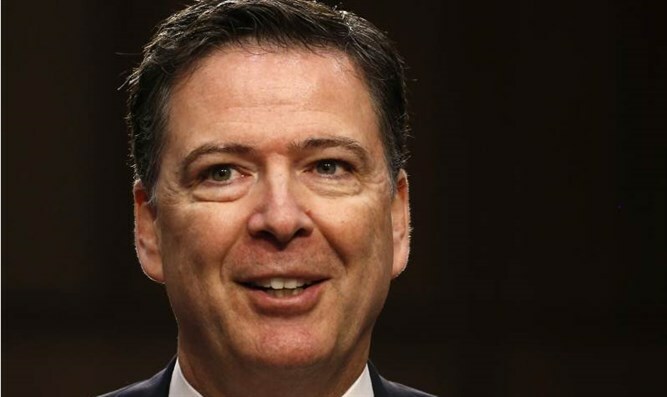 The former FBI chief told investigators that he did not inform main Justice officials because he was concerned they would instruct him not to do it, something he felt would have harmed the public's perception of the fairness and trustworthiness of the investigation. However, Horowitz determined that those reasons were not "a persuasive basis for deviating from well-established Department policies in a way intentionally designed to avoid supervision by Department leadership over his actions." The report also faulted Comey, Strzok and Page for using their personal email accounts for official FBI matters, though it did not find that they transmitted any classified information using those accounts. Horowitz’s report, which comes in at almost 500 pages, does not delve into conservative allegations related to the Department of Justice’s handling of the investigation into the Trump campaign and Russia. Horowitz does not name the other three employees, noted The Hill. The inspector general’s office declined to comment on whether it has made any criminal referrals stemming from the report.